A bound volume containing remittance lists for French citizens spanning from 1915 to 1916. 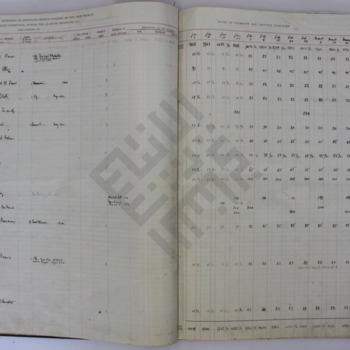 Department of State and U.S. Consulate General, Beirut, “Beirut Consulate Record Book Vol. 451 Part 2,” Moise A. Khayrallah Center for Lebanese Diaspora Studies Archive, accessed April 20, 2019, https://lebanesestudies.omeka.chass.ncsu.edu/items/show/39386.